What if E-verify costs us everything and can’t stop “amnesty” anyway? #1 2.13. We support enforcement of the best interests of citizens, which do not include more national tracking of citizens through biometrics databases linked to chips, cards, or facial recognition. 5.15’s “resources to employees to employers to eliminate or deter the hiring of illegal aliens” means, we are led by national discussion to presume, the national tracking database connected to chips, cards, or facial recognition which 2.13 would prohibit. Fortunately for Polk County’s schizophrenia meter reading, the two planks were at least not passed the same year. The first was passed this year; the second, in 2016. I am blessed to serve until March 10, 2018 on the Polk County Republican Platform Committee, where I get to interact with an invigorating combination of brilliance and conviction which, despite that, agreed with me probably more than I deserve, while disagreeing hopefully often enough to preserve its credibility. One instance of where we agreed was in replacing 5.15, above, with 2.13 above. In this article I would like to give more evidence of how dumb it would be for Congress to force every American employer to check every employee through E-verify – a national database of facial recognition photos, names, addresses, and SSN’s supplied by state drivers’ license databases – even though E-verify is virtually the only tool envisioned by immigration restrictionists as able to flush “illegals” out of America. Without E-Verify, there probably is no other strategy for reducing our undocumented immigrant population. This article explains how and why E-Verify doesn’t stop “amnesty”. Which is fortunate because “amnesty” gives citizens more, economically, than it takes. Meanwhile, E-Verify may cost us everything, beginning with our economy and ending with not just some of, but all of our freedom. Here are E-Verify problems that are relegated to the “undercard debate” of national immigration discussion. The minuscule cost of E-Verify to citizens imagined by its supporters seems to them a small price to pay to spare taxpayers the $6.3 trillion they imagine we pay now to subsidize “amnesty”. (Claimed by Robert Rector’s widely trusted study.) E-Verify is so efficient and effective, they imagine, that once we require every business to check every employee by it, “illegals” will all “self-deport” and wages will rise, unemployment will drop, government can pay off its debt, and America can regain her prosperity. The indented paragraphs below are from “Checking E-Verify” by Alex Nowrasteh and Jim Harper, July 7, 2015. Jeremy Beck of NumbersUSA.org tried to refute Nowrasteh/Harper’s study. See my response to Beck at section 5-D of “Rector’s Undocumented Reckoning”. But what if, instead of making immigrants “self deport”, it motivates them to do a better job of forging ID’s? Nowrasteh: Another, longer-term effect of the I-9 mandate was that it created a large black market for identity documents. The IRCA’s requirement that workers needed government identification to get a job provided criminal entrepreneurs incentives to begin forging U.S. identity documents….Because IRCA increased the costs to unauthorized immigrants of not having government identification, the benefits of owning forged documents increased—so the profit margins for forgers increased. What if instead of E-Verify working efficiently, it only catches the 46% of “illegals” with the cheapest ID forgeries, a percentage which will get worse as forgers get more practice? Nowrasteh: This leads to the most damning indictment of E-Verify as a tool to force unlawful immigrants out of the labor market: according to a USCIS-ordered audit of E-Verify conducted by the research firm Westat, an estimated 54 percent of unauthorized workers submitted to E-Verify were incorrectly found to be work authorized because of rampant document fraud. What if, instead of driving immigrants across the border, E-Verify only drives them into the kinds of jobs not checked by E-verify such as subcontracted work or self-employment, or drives them – and their citizen employers – farther “underground” [Meaning, they simply don’t report to the IRS] driving America farther into debt? Nowrasteh: [There are] four big gaps in the E-Verify mandate that produce such low compliance rates across states. The first is that employers do not have to check the employees of independent contractors through E-Verify. Self-employment is the second gap in EVerify. Self-employed people and entrepreneurs do not have to run themselves through E-Verify. The E-Verify gap and the slow pace of economic growth account for part of the 73 percent increase in self-employment and entrepreneurial activity in Arizona from 2006 to 2011. During that time, about 25,000 Hispanic noncitizens in Arizona dropped out of the formal wage economy and became self-employed. Since 2011, the slow-down in Arizona’s enforcement of E-Verify mandates, the improving economy, and the shift of unauthorized immigrants out of the state have lowered the rate of self-employment….The fourth gap in E-Verify is that it cannot regulate illegal or informal employment. Since the E-Verify mandate in Arizona began, off the books and illegal hiring of unauthorized immigrant workers has become more widespread and sophisticated. Many unauthorized workers moved deeper into the informal economy where they are paid cash, do not receive a W-2, and do not have taxes taken out of their paychecks. A larger informal economy makes contract enforcement more difficult, increases information asymmetries, and generally produces a less-efficient market. What if being driven to different work only reduces the “job magnet” from a 253% wage increase in wages here over wages in one’s home country, to a “mere” 240% increase? Nowrasteh: The failure of E-Verify to reduce employment, from 2008 to 2012, is explained by the wage gains for a Mexican immigrant to the United States, for whom working in the United States produces an increase in income estimated at 253 percent. In Arizona, combining the wage decreases with the employment increases and comparing them to unauthorized immigrant wages by gender, E-Verify lowered that wage gain to 240 percent—barely diminishing the powerful incentive to immigrate unlawfully. [But E-Verify doesn’t even reduce the wage gain to 240 percent, because driving way some immigrants merely raises the demand for, and thus the wages of, the immigrants who remain!] If E-Verify pushes some unauthorized immigrants out of the labor market, the nominal wages for those remaining increase slightly, thus boosting the strength of the jobs magnet. What if E-Verify makes prices soar to pay citizens to do jobs few are interested in doing without a lot more money? Nowrasteh: Supporters of mandated E-Verify claim that jobs vacated by unauthorized workers would be filled by native-born Americans. However, the data show that native-born workers did not flow into states that shed workers due to E-Verify…. What if E-Verify raises prices to pay for the costs of educating employers how to obey E-Verify’s 88-page hard-to-understand manual? Nowrasteh: E-Verify’s manual for employers is 88 pages long, poorly written, and confusing. What if E-Verify raises prices to pay for the costs of using E-Verify? Nowrasteh: Currently, each E-Verify check is estimated to cost an average of $147 when the employer follows all of the legally mandated notification requirements. 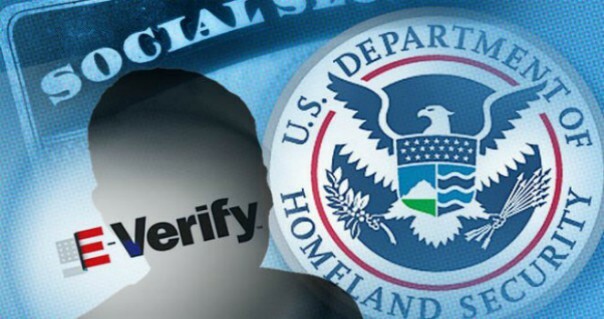 While the majority of E-Verify queries cost very little because there is no upfront government fee and the worker is immediately verified, a small percentage can cost a great deal to resolve, which explains the high average of $147. [This burden would be added to the huge cost of complying with federal regulations:] The Small Business Association estimates that federal regulations impose an average of $8,086 in compliance costs per employee for businesses [per year]. However, those marginal costs increase as the firm decreases in size. A small firm with 20 or fewer employees pays an average of $10,585 per employee in compliance costs. Regulatory compliance greatly favors an economy of scale because larger firms can afford large legal and human resources departments while smaller firms cannot. E-Verify would bump up these regulatory costs, with the greatest burden falling on small businesses. For all businesses, the cost of replacing a worker can range from hundreds of dollars for a lower-skilled employee to hundreds of thousands of dollars for a more highly skilled worker in a management position. [The previous paragraph is from Nowrasteh’s study, with updated figures; the following is from my personal experience.] These figures count only the cost of complying with federal regulations. State and local regulations can be as serious. Complying with all laws is impossible first because there are so many and they change every year, and are further changed by courts; and second because regulators (inspectors) interpret and apply vague laws in ways no business owner can predict, adding unexpected thou$ands to business expense. When my family business had to move in 1975, a local building inspector decided we had to build a floor-to-ceiling firewall with steel doors the entire length of the 20,000 square foot building, at a cost in 2015 dollars of $44,000. That order came after we bought the building, it was totally unexpected, it made little sense, it was one of the reasons our employees dropped from 10 to 2 in 10 years, and when we had to sell off the building 10 years later the new owner tore it down. What if E-Verify raises prices to cover the huge retraining and recruiting costs of replacing employees forced to quit because of E-Verify? Nowrasteh: This is a big economic problem for employees because firms are loath to invest training resources in employees who have not been checked by E-Verify or who have a contested TNC pending, as the employer would lose its entire investment if the worker is issued a FNC. Firm productivity is diminished by delays in hiring, the forced termination of unauthorized employees, and increased labor force turnover. ….A 2010 study by the Institute for Research on Labor and Employment at Berkeley found that for California businesses it cost an average of $4,000 to replace a worker: $2,000 for a blue-collar worker and as much as $7,000 for a whitecollar worker. According to those numbers, replacing the roughly 1.7 million employed unauthorized immigrants in the state of California would cost businesses roughly $6.8 billion. Nationwide, the loss of manpower hours from a universally mandated E-Verify requirement is difficult to quantify, but 14 million work-days of productivity could be lost every year due to such a requirement….For all businesses, the cost of replacing a worker can range from hundreds of dollars for a lower-skilled employee to hundreds of thousands of dollars for a more highly skilled worker in a management position. What if the higher prices businesses will have to charge because of E-Verify will drive them out of business unless they move to China, because citizens won’t pay those higher prices for things costing less from China? What if citizens lose jobs because E-Verify drives their employers to China? What if citizens lose jobs because E-Verify makes business less profitable, forcing employers to cut back? What if citizens lose jobs because E-Verify makes mistakes and can’t confirm that an employee is a citizen? Nowrasteh: If the roughly 122 million native-born employees in the United States at the end of 2014 were all run through E-Verify, between 370,000 and 1.2 million of them would be initially granted an erroneous TNC if the error rates stayed the same. Since E-Verify has been concentrated on small populations of American workers that are less likely to have identity errors in the government databases, a universal mandate would likely result in higher erroneous TNC and FNC rates. The decline in erroneous TNCs is not uniform across all groups of hires. Although the erroneous TNC rate for American citizens declined from 0.6 percent in 2005 to 0.2 percent in 2010, it rose to 2 percent for lawful permanent residents and visa holders in 2010, up from 1.5 percent in 2005. …A universal E-Verify mandate would likely bump up that erroneous FNC rate by exposing new populations of workers to the requirement….These erroneous results arise from numerous sources, such as the inability of some workers to produce documents, clerical errors, and poorly transcribed handwritten documents that skew either the E-Verify query or government database entries. What if citizens are fired because E-Verify said they aren’t citizens, but they can’t correct the errors because their boss doesn’t tell them why they were fired – because he didn’t know he was supposed to, because he can’t understand the confusing 88-page government manual about E-Verify? Nowrasteh: While employers who use E-Verify are obligated to inform the employee of TNCs, many fail to do so because of their ignorance of the requirement: E-Verify’s manual for employers is 88 pages long, poorly written, and confusing. What if the reason their boss doesn’t tell them they flunked E-Verify is that he checked them before he hired them, which is against the law? Nowrasteh: A particularly vexing challenge for administering E-Verify is the likelihood that employers operating under universal E-Verify mandates will prescreen job applicants to guarantee that they will not waste time or resources interviewing those who are unqualified for employment. Although such behavior is not allowed under E-Verify, policing against it would be difficult, costly, and intrusive. Thus, a job applicant with poorly recorded information could continually get rejected by employers who prescreen his information and find him to be tentatively nonconfirmed for employment. Crucially, this deserving worker would not know that his erroneous identity information is the cause of his inability to find a job. What if citizens fired because of E-Verify errors will never work again because the wages they had hoped for couldn’t cover the attorney fees necessary to fight errant database bureaucrats – that is, if they even found out how to contest their false TNC’s? What if E-Verify causes many citizens to lose jobs for every two “illegals” fired, because the usual penalty for hiring two illegals is taking away the business’s license to operate, shutting down the business? Nowrasteh: LAWA mandated that all employers run new hires in the state through E-Verify. Arizona intended to enforce the law through what former Arizona governor Janet Napolitano called “the business death penalty.” The punishment for a second offense of knowingly or intentionally hiring an unauthorized immigrant is the permanent revocation of the employer’s licenses at the location in question—essentially shutting down the business. What if E-Verify isn’t enforced and perhaps never can be because all the innate political incentives opposing such severe punishments? Nowrasteh: The paucity of prosecutions and lenient punishments show a tremendous reluctance on the part of state officials to actually “kill” businesses that violated LAWA. Even the Arizona government and Sheriff Arpaio’s MCSO could not sustain a vigorous E-Verify and workplace immigration enforcement program in the face of business and legal opposition. The costs of enforcing these rules fall disproportionately upon businesses, which have the incentive and ability to lobby against those enforcement efforts. The hypothetical benefits of these raids have no constituency besides the state agencies empowered to carry them out and anti-immigrant agitators, for whom raids and enforcements themselves have attenuated benefits. If Arizona cannot sustain a vigorous worksite enforcement program in the face of opposition, other states or the federal government will likely be unable to as well. What if claims that E-Verify laws are effective in getting businesses to actually use E-Verify are lies? Nowrasteh: E-Verify’s compliance rate [in Arizona] is a mere 54.8 percent of all new hires from fiscal year 2009 through fiscal year 2013—a dismal performance. [Other states are almost the same.] If South Carolina’s 54.9 percent E-Verify compliance is “effective,” how low must the compliance rate be to count as “ineffective”? If E-Verify compliance cannot be forced on the state level in Arizona or South Carolina, there is virtually no chance that it will be enforced more effectively across our large nation. What if a business is prosecuted not for any deliberate hiring of illegals, but because of confusion in understanding the 88-page hard-to-understand manual that is part of a business’s preparation to use E-Verify? What if even when E-Verify tells a business that a worker is a citizen, the business can still be punished if E-Verify later decides the worker is not a citizen? What if the number of citizens who lose their jobs because of database errors, business closures, businesses belt tightening, and self-deported business is equal to the number of “illegals” who lose their jobs because they are the 46% with the worst quality phony ID’s? What if citizens who lose their jobs because of E-verify are driven to under-the-table employment by “illegals” who have started their own businesses to avoid E-Verify? What if the damage we do to the economic opportunities of immigrants because of E-Verify causes as much or more damage to our own economic opportunities? Nowrasteh: Between 86,800 and 93,000 unauthorized immigrants left Arizona because of EVerify, In Arizona, the construction and agricultural sectors of the economy shed more jobs more rapidly under E-Verify than did neighboring states that did not implement E-Verify, and those vacant jobs were not filled. When the unauthorized immigrants left those jobs, the jobs did not transfer to natives. They were destroyed. What if economists are right who say immigrants don’t take citizens’ jobs or drive down wages – the reason for E-Verify in the first place? What if immigrants don’t take more jobs than they create by requiring the services of citizens in order to live among us? What if the jobs they create for citizens are more interesting to citizens and at better pay than the jobs they take? Nowrasteh: E-Verify’s ineffectiveness mercifully limits the economic harm caused by the system because it does not upset the labor market nearly as much as an effective system would. What if E-Verify’s failures make it obvious that the only way it can really turn off the “job magnet” is by adding nationally mandated biometrics which will cost us everything? Our economy, our freedom, and according to Revelation 13, our souls? Nowrasteh: The dogged defender of E-Verify will push for improvements meant to strengthen federal worker background checks, closing loopholes that allow some of these problems to materialize. Unfortunately, many improvements to E-Verify are steps to a national ID system, which is anathema to American freedom. It is a weakness of E-Verify that it checks only the correlation between an employee name and the Social Security number associated with that name. That weakness can be mitigated by attaching a biometric, such as a picture, to the process. This is already underway in the program, as E-Verify now calls for a photo check of workers presenting a Permanent Resident Card, Employment Authorization Document, U.S. passport, or passport card as the verification document with their I-9. The federal government already has photos of the people who hold these federally issued documents. The “Records and Information from DMVs [the facial recognition photos on drivers’ licenses] for E-Verify (RIDE)” program goes beyond federal records, seeking driver’s license photos from cooperative states. Currently, Mississippi, Florida, Idaho, Iowa, Nebraska, and North Dakota turn state records over to DHS for use in E-Verify. If more states participate, and as the biometrics they use strengthen—shifting from analog photos to digital, for example, then on to stronger biometrics such as iris scans, fingerprints, and so on—E-Verify will be the knitting together of a national ID system. Once in place, a national ID would very likely be extended to uses beyond controlling access to employment. Should there be a viable national ID, it may be used to administer a national health care system; to control access to pharmaceuticals; to control gun and ammunition purchases; to determine who can access financial services and credit, or housing; and many other activities for which national-level controls have already been proposed. Many insistent advocates of E-Verify, imagining how it might control illegal immigration, would chafe at the other uses that could be made of the system once the national ID system required to implement it is in place. 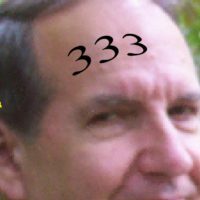 What if Luke 6:38 is literally true? What if it is true not only in some other situation or for other people but also in this one and for us? What if God made the universe that way to give us more reason to love each other, to make us more likely to get along with each other in Heaven? What if “America’s Greatness”, a comparative term, means compared to other nations, not to what America could be? What if the key to America’s greatness is its service to the whole world relative to other nations so far, and the key to America’s future greatness will be the willingness of Christian voters now, to let America continue to be an instrument of God’s blessing to all the people of the world? Mark 10:42 But Jesus called them to him, and saith unto them, Ye know that they which are accounted to rule over the Gentiles exercise lordship over them; and their great ones exercise authority upon them. 43 But so shall it not be among you: but whosoever will be great among you, shall be your minister: 44 And whosoever of you will be the chiefest, shall be servant of all. 45 For even the Son of man came not to be ministered unto, but to minister, and to give his life a ransom for many. Matthew 20:25 But Jesus called them unto him, and said, Ye know that the princes of the Gentiles exercise dominion over them, and they that are great exercise authority upon them. 26 But it shall not be so among you: but whosoever will be great among you, let him be your minister; 27 And whosoever will be chief among you, let him be your servant: 28 Even as the Son of man came not to be ministered unto, but to minister, and to give his life a ransom for many. Luke 22:25 And he said unto them, The kings of the Gentiles exercise lordship over them; and they that exercise authority upon them are called benefactors. 26 But ye shall not be so: but he that is greatest among you, let him be as the younger; and he that is chief, as he that doth serve. 27 For whether is greater, he that sitteth at meat, or he that serveth? is not he that sitteth at meat? but I am among you as he that serveth. Democrats or Republicans, only one is the Party of Lies, Slavery, and DeathHas Earth Been Invaded by Aliens?